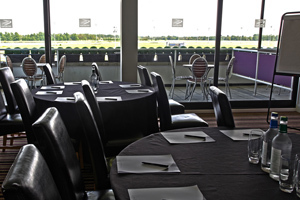 Imperial Tobacco, Cisco and Teletext Holidays are among the corporates that have bolstered Kempton Park Racecourse's annual corporate hospitality attendance by 60%. The venue said that it had exceeded budgeted turnover for the year to April 2012, while bookings for the remainder of this year are strong. The racecourse is this month launching its recently renovated private hospitality boxes, which feature plush carpeting, large plasma screens and private balconies. Simon Beynon, Kempton Park’s director of sales, said: "The news that we have received such an increase in hospitality bookings mirrors our dedication to providing unbeatable service levels, quality catering, and an unforgettable experience."